Working with other people means dealing with different personality styles. The ability to reflect and reframe another person’s attitude and approach is vital to any role which seeks to understand or influence the social behaviour of other people. This course introduces a totally new way of appreciating other people’s social behaviour – based on their energetic states. It teaches how to utilise an understanding of people’s emotional reactions, in particular the energetic state they employ, in order to fathom their behavioural strategy and the social style with which they feel most comfortable. How we feel affects how we act. We understand this instinctively. For example, dealing effectively with people in client service situations requires that we be keenly aware of their needs and approach them from the position they feel most comfortable in. Being alive means to be energetically active. How we utilise our emotional energy determines our social or behavioural style. Although we generally trust our feelings as important indicators in many areas of our lives, in the workplace, where rigour is required, our feelings are not appreciated. This course explores how the energy states that people adopt can be used as important predictors of behaviour. We can make use this information in two ways. First, as an indicator of the preferred behavioural style that a person will habitually use. Secondly, to enhance our ability to achieve congruence with another person by adjusting our own energetic response in order to flow or harmonise with them. Many organisations have utilised the technology of Myers-Briggs type analysis, in order to give employees feedback about their own and their workmates behavioural styles. This course integrates the material of Myers-Briggs, specifically the analysis produces by David Keirsey but summarises it in a manner that supports its application by managers and staff interested in better understanding and responding to individual social style dynamics in the workplace. Provides a new insight how best to appreciate and deal with the personal strategies of others based on an understanding of their energetic states. Examines the different style types and identifies their motivations and reactions. Summarises the Myers-Briggs type analysis material to allow it to be used in a practical and effective way to identify other people’s behavioural styles. 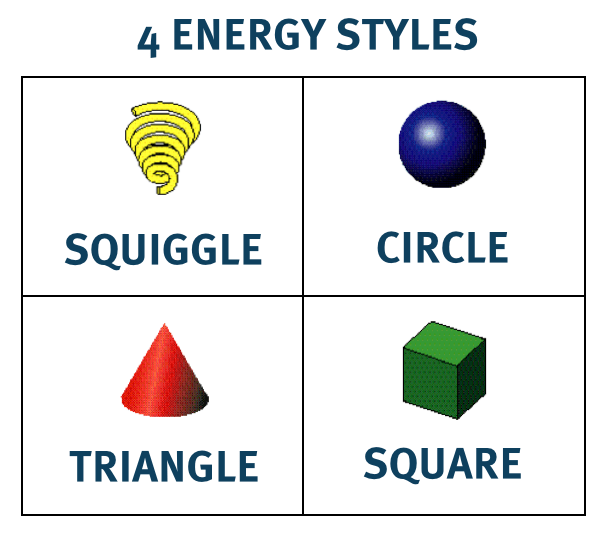 Identifies how we habitually operate energetically and allows participants to understand how to match different social styles by adjusting to their energetic actions.